Nitrous Oxide Sedation is a very effective way for Dr. Bob to help you stay relaxed and comfortable during a dental procedure. It is a very light form of sedation, which works fast and wears off quickly. Nitrous oxide, often called “laughing gas” is a colorless gas that Dr. Bob can give you to help you relax. It is very safe when professionally administered, and it works extremely well to reduce the anxieties in many dental patients. Approximately one-third of all dentists use nitrous oxide in their offices. It is often used to sedate a patient for a short period of time, or in conjunction with another sedation medication. Is Nitrous Oxide Sedation for me? Dr. Bob has been trained exactly when and how to administer nitrous oxide, so feel free to ask if it is right for your situation. He wants to sedate you only as much as necessary, but there are other methods of conscious sedation available if nitrous oxide is not enough for you to feel comfortable. In general, it delivers a very good, light sedation for patients who have some minor discomfort with dental visits, especially during some more invasive procedures. Very often it is used for a short period of time when Dr. Bob is drilling or pulling a tooth and thinks sedation would make things less stressful for you. Sometimes it is used in conjunction with other sedatives to keep patients very relaxed and totally comfortable. 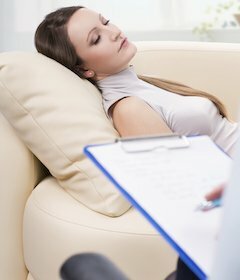 What can I expect from Nitrous Oxide Sedation? Dr. Bob will put a mask on your face or a small tube called a cannula under your nostrils to give you a mixture of oxygen and nitrous oxide. It usually takes effect very quickly, and lasts for as long as it is kept on. During the procedure you will feel extremely relaxed, with a sensation that has been described as “dreamy”, but you will remain awake. Once the nitrous oxide is off, patients usually feel normal again very quickly, and can almost always drive themselves home after the appointment. Yes, it is extremely safe when given by a medical professional like Dr. Bob. Nitrous oxide is one of the safest medications available. While most people have no negative reaction to relatively short periods of time on nitrous oxide, it does make a small percentage of people feel nauseated. Dr. Bob has been trained how to best deliver nitrous oxide, and will have you under close supervision for the duration of the procedure.